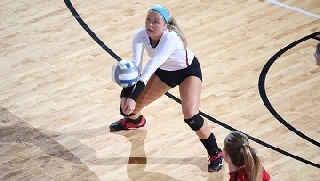 Youngstown State junior libero Lauren Blanco has been voted to the Horizon League Volleyball Academic All-League team for 2016, the conference office announced last week. Blanco ranked seventh in the Horizon League during the regular season with 3.21 digs per set. She upped her average to 3.93 per set during conference play. In the classroom, Blanco holds a 3.91 grade-point average in accounting. She is the first Penguins libero or defensive specialist to earn academic all-conference honors. Blanco was one of 13 student-athletes recognized for their efforts in the classroom and on the court. The teams were voted on by a faculty athletics representative from each of the league's 10 schools.